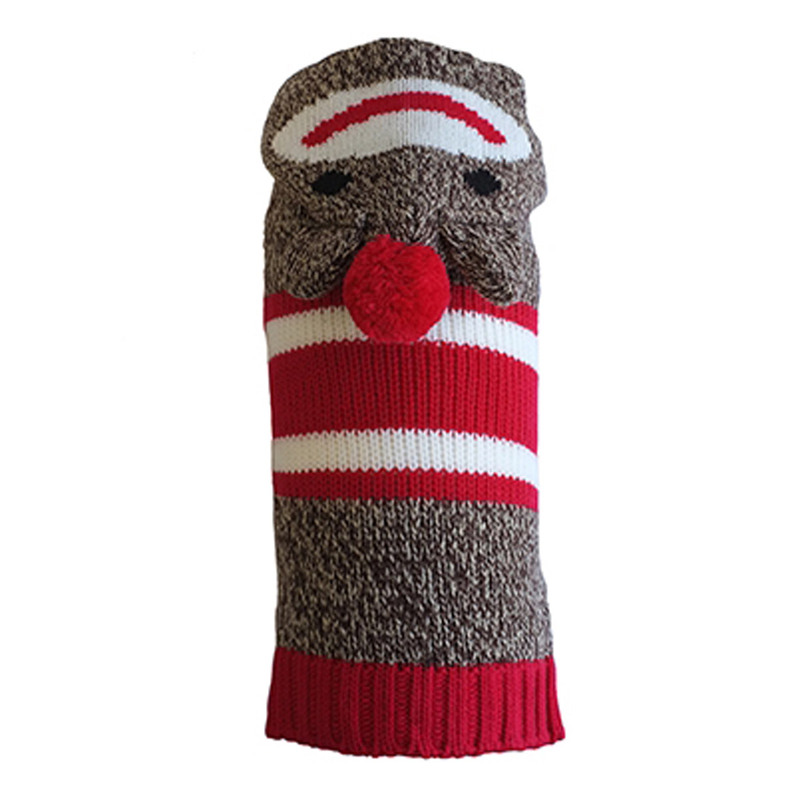 This Worthy Dog Sock the Monkey Dog Hoodie is sure to keep your pup comfortable and warm all winter long! Your pet will stay stylish and warm this winter with a Worthy Dog sweater! These comfy double-knit sweaters feature a "button hole" in the back so that you can easily hook your pet's lead to their harness. Worthy Dog Sock the Monkey Dog Hoodie Customer Photos - Send us your photo! "I'm not a monkey but my mom dresses me like one". Charlie, my 4 month old Lhasa Apso, is wearing Worthy Dog Sock the Monkey Dog Hoodie and loves it! Posted On 04/09/17 by Jena L from Boston, MA Yes, Jena L recommends this product! Charlie, my 4 month old Lhasa Apso, loves this sweater! It's warm and cozy, and the sock monkey style is so cute. It's well-made and just slightly large so Charlie will still be able to wear it as he grows. Posted On 11/12/15 by Laurie P from Carlsbad, CA Yes, Laurie P recommends this product! My 3lb Yorkie looks so cute and warm in her Sock Monkey Dog Hoodie! It fits perfect and helps keep her warm. The hood looks so cute on her except she kinda has a look like "Could you please take a picture so we can remove the hood?!" LOL! The site is a bit challenging to navigate.The offers are a bit confusing (e.g., shipping offers)Customer service was great and very helpful.